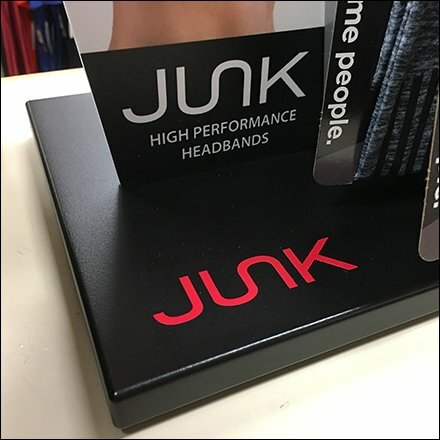 A trendy, modern brand name unless you try putting it into a headline like Junk High Performance Headband Stand. But regardless I love the brand name, logo design and even the Table Top stand. The lifestyle photos, both male and female, do much more to sell the headband as lifestyle accessory than the plain carded headbands themselves. These Junk people know a thing or two about merchandising.At least until it dawned on me what I would look like in one. Still this Junk High Performance Headband Stand worth a once over in the gallery of images.